Japan once labeled its whaling vessels with prominent “Research” tags. The country will resume commercial whaling hunts in 2019. 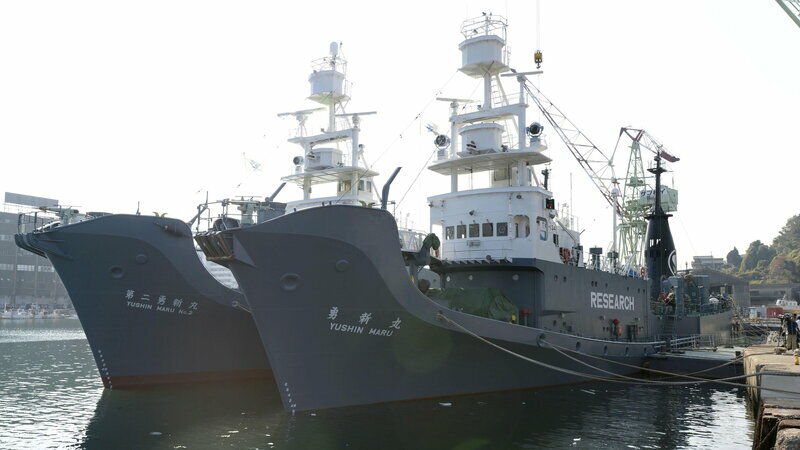 Here, the whaling ships Yushin Maru (right) and Yushin Maru No. 2 are seen before leaving for the Antarctic Ocean for a whale hunt in 2015. 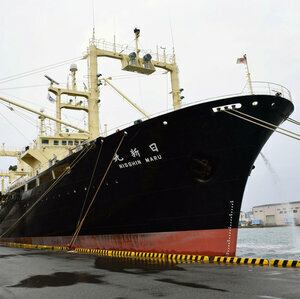 In the future, Japanese whaling ships will not operate in the Antarctic. Japan was ordered to halt its whaling program in the Antarctic in 2014, when the International Court of Justice ruled the annual practice — which has killed thousands of whales since 2005 — had not produced enough scientific data to justify its existence. The program generated whale meat that was sold in specialty stores, as a legal byproduct of hunting that was labeled scientific in nature. Can Humans Stoop Any Lower Than This? …if so, I don’t want to know. ROSSINIERE, Switzerland – (Reuters) – Swiss army helicopters began airlifting water on Tuesday to thousands of thirsty cows who are suffering in a drought and heatwave that has hit much of Europe. Large red plastic containers hung from the bottom of the Super Puma helicopters carried the water to farms in the Jura Mountains and Alpine foothills. Some 40,000 cows graze in the summertime in high-altitude pastures in Vaud canton (state) in western Switzerland and each needs up to 150 liters (40 gallons) of water a day, authorities said. Two large basins have been filled with water to allow farmers with land accessible by road to fill up their tank trucks, they said. Several dozen farmers have called a special hotline to request help from the helicopters since the emergency operation was announced last Friday. “I’ve been renting this pasture for 13 years now. We had to airlift water sometimes but never that much,” Gregoire Martin, who runs a farm with 68 cows and 90 head of young cattle at Le Culand pasture in Rossiniere, told Reuters Television. “We already used the army’s helicopter two years ago but in the long term we cannot go on like this,” he said. Switzerland will cut import tariffs on livestock feed and offer interest-free loans to help farmers deal with the drought, the federal government said on Monday, amid a heat wave that is killing off fish in the Rhine. “The situation is very worrying because Switzerland has not known a drought like that … since 1921,” said Philippe Leuba, head of economy and sport for Vaud, who attended Tuesday’s operation. Authorities in Thurston County, Washington, are hunting for an apparent serial cat killer they believe is responsible for killing and mutilating at least a dozen cats in the county since February. Seven of those cats were found dead in August, according to The New York Times. On Tuesday, the 12th known mutilated cat was found, its body found with “carving” and “surgical-type mutilations,” Olympia Police Lt. Sam Costello told local news station Q13 Fox. He added that, as with the other cats that have been found, the body was “splayed out” and appears to have been “posed” by someone. In some cases, cats’ bodies had been sliced all the way open and spines had been removed. In one instance earlier this month, a kitten was found beheaded, according to news station KIRO 7. While the bodies of at least 12 cats have been found in the county, it’s possible that there are more victims of the cat killer or killers. One grisly scene appeared to have possibly involved body parts from multiple cats, the Times notes. Officials trying to track down the person responsible have a few clues to go on. One cat, a family pet named Ollie who was strangled to death, appears to have fought back. Investigators are hoping that DNA found on Ollie’s claws could lead to a match. US police believe DNA found on a cat’s claws could help them track down a serial animal killer. A manhunt has been launched after at least 12 cats were mutilated and killed in Washington this year…. And near the body of a cat named Tubby, investigators found a surgical glove that had apparently been left behind. Authorities are warning people in the area to keep their pets inside in the wake of the crimes. Earlier this month, Pasado’s Safe Haven, an anti-cruelty organization and animal sanctuary in Sultan, Washington, put up a $3,000 reward ― half of which was donated by Q13 Fox anchor David Rose ― for information leading to the arrest of the killer. Now, after donations from the public and other animal advocacy groups, the reward is up to $36,000. So far, there’s no evidence that the cat killer has harmed humans. But law enforcement working on the case worry the person responsible may move on to people. Animal cruelty investigator Erika Johnson told the Times that she’s previously prosecuted people for violent acts against humans that started with perpetrators “just desensitizing themselves” by hurting animals. In 2016, the FBI began collecting data on animal cruelty crimes, largely because of evidence linking animal abuse to violence against people. To prevent health hazards in chicken, the Korean government is making farmers increase rrthe size of the birds’ cages. According to the Ministry of Agriculture, Food and Rural Affairs on Monday, the minimum legal size of cages in local poultry farms will be expanded from 0.05 square meters (5 square feet) per bird to 0.075 square meters. Providing at least 0.075 square meters of space per hen is the standard currently in place among the European Union countries. The new standard will go into effect on Sept. 1 with a grace period of seven years so existing farms can gradually upgrade their facilities. An official from the Agriculture Ministry explained that the regulations announced Monday are a follow-up to measures introduced in the wake of the pesticide egg scandal that swept the country about a year ago. “It was pointed out that overpopulation of hens in tight spaces caused the spread of ticks and mites, which were essentially the cause of the contaminated egg scandal,” explained the official. Chickens stuck in small cages are unable to remove ticks on their own, which forces farmers to spray pesticides to kill them. These pesticides, used to keep chickens “healthy,” end up in the eggs they lay, which are consumed by the public. The pesticide-egg scare last year led to a drastic fluctuation in the price of eggs as the government scrambled to provide safe eggs to consumers, going as far as importing them from abroad. “It was apparent that we needed to improve the living conditions of the birds to prevent or minimize such incidents in the future,” the official said. The new standard is also a part of the government’s effort to prevent the spread of a highly pathogenic strain of the H5N6 avian influenza, a deadly virus that can also infect humans. In addition to the enlargement of the bird cages, the government will also make it obligatory for farmers to install cameras at the entrance of their farms and inside hen houses. This could help authorities figure out how a virus has spread and anticipate where it might end up next. Farms will also be required to install inspection facilities when they register for a business permit. Bird flu has been a headache for the Korean government, spreading through the country almost every year. The latest case detected was in March when a highly pathogenic strain of H5N6 avian influenza was discovered on some farms in Gyeonggi and South Chungcheong. The government slaughtered more than 200,000 birds that month. More than six million birds were culled since November last year, according to the Agriculture Ministry. Some experts, however, say that expanding the size of cages may not be sufficient, explaining that EU countries are banned from raising hens in battery cages and required to use so-called enriched cages instead, which are cleaner and more comfortable for the birds. 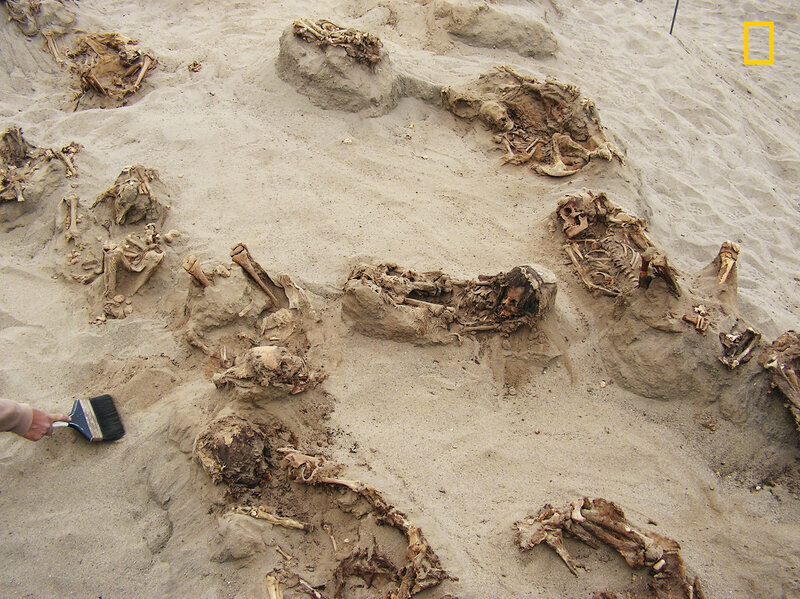 Buried together, a child and a llama were part of a mass sacrificial killing that included more than 140 children and over 200 llamas in the Huanchaquito-Las Llamas site in coastal Peru near Trujillo. 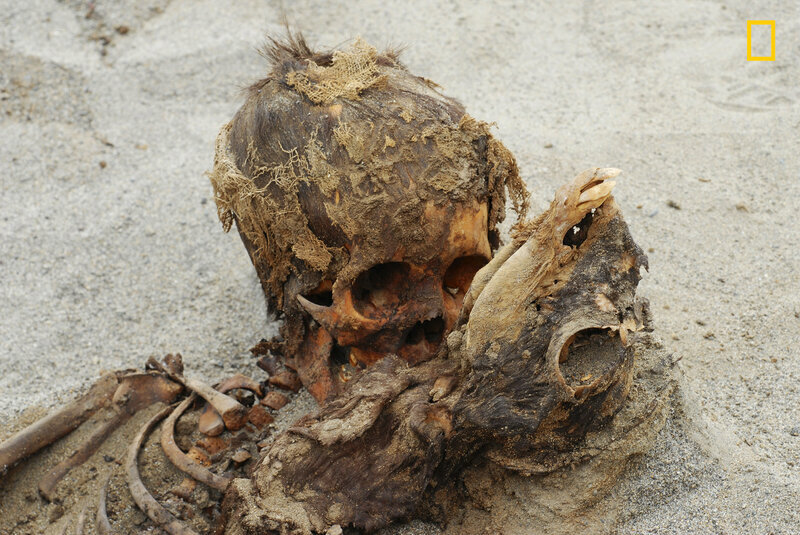 Archaeologists discovered the remains of more than 140 children in Peru, children who they believe were sacrificed because of heavy rains. Their skeletons were found on an excavated site formally known as Huanchaquito-Las Llamas — ground that was controlled by the Chimú Empire some 550 years ago, reported National Geographic in an exclusive published on Thursday. Researchers believe that both boys and girls between the ages of 5 and 14 were killed by expert hands. The victims appear to be from different ethnic groups and were brought to the bluff from faraway places in the Chimús’ vast empire. Peruvian archaeologist Gabriel Prieto, who grew up in the area, was excavating an ancient temple there in 2011 when people who lived near coastal dunes told him they were seeing bones. Prieto, a National Geographic Explorer and professor, said his work there resumed in 2014 with grants from the National Geographic Society. He and John Verano, a professor of anthropology at Tulane University, led the research. They found that these were no ordinary remains. Many of the children had faces that were caked with red pigment, sternums with cuts and ribs that had been dislocated — suggesting that their hearts had been removed. The researchers also found the remains of 200 juvenile llamas that also appear to have died in ritual killings. Footprints of barefoot children, adults in sandals, young llamas and dogs have led the researchers to construct a theory of their demise. And it’s rooted in a layer of dried mud at the eastern part of the 7,500-square-foot excavation site. The researchers believe that heavy rains and flooding caused by El Niño weather patterns prompted the massive sacrifice. It would have had devastating consequences on Chimú infrastructure, which was built for arid conditions and featured a network of canals. Prieto said the researchers will continue to learn about the victims through DNA and biological analysis. They will submit a report about the discovery to a peer-reviewed, scientific journal, reported National Geographic. VENTURA, Calif.— Wildlife conservationists and scientists praised California Fish and Game Commissioners for their vote on Thursday in support of a progressive predator policy that provides the framework for how the state approaches predator conservation, stewardship, and management into the future. “This policy represents sound science and acknowledges the important ecological role that predators play in maintaining ecosystem health, integrity, and diversity,” said Dr. Rick Hopkins, a San Jose-based wildlife ecologist who served on the PPWG (representing Project Coyote). “I am proud of how the disparate groups in the Predator Policy Work Group came together and developed a forward-thinking predator policy which recognizes both the role that predators play in the environment, but also provides a sensible approach to management,” said Commission Vice President Anthony Williams. Project Coyote submitted more than 2500 petition signatures and letters to the Commission urging adoption of a policy that acknowledges the importance of native terrestrial carnivores and their intrinsic and biological value, and that includes the term “humane” in how human-predator conflicts would be addressed—elements that are incorporated in the policy the Commission adopted Thursday. To view the policy as adopted by the Commission on April 19, 2018, click here. Project Coyote, a national nonprofit organization headquartered in Northern California, is a North American coalition of wildlife educators, scientists, ranchers, and community leaders promoting coexistence between people and wildlife, and compassionate conservation through education, science, and advocacy. For more information, visitProjectCoyote.org. Two men from Vanderhoof, B.C., have pleaded guilty to injuring a coyote with their truck and then killing it with a machete, in violation of the provincial Wildlife Act. Conservation officer Jeff Palm said the”brutal” killing was corroborated by multiple eye-witnesses and DNA evidence. The incident occurred in Jan. 2017 when officers responded to a 911 call reporting two men in a pickup running down a coyote on the frozen Tachik Lake, near Vanderhoof in central British Columbia. Multiple witnesses were able to direct conservation officers to the men, who first denied their involvement Palm said. 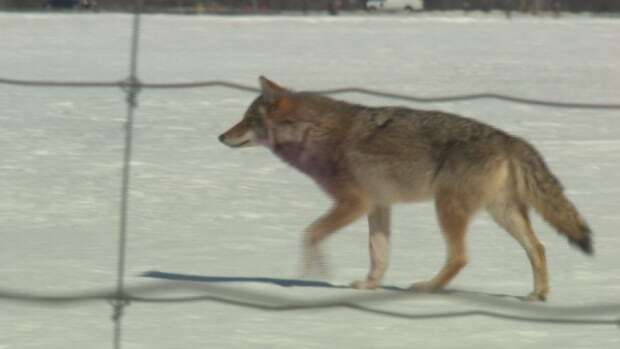 However, officers found blood on the men’s clothes and the truck, which DNA analysis confirmed belonged to the coyote. The men later admitted to their actions in a sworn statement. Officials have not released their names. In Aug. 2017, the driver pleaded guilty to harassing wildlife with a vehicle and unlawful possession of a coyote. He lost his hunting licence for three years and received a fine of $5,000. The passenger pleaded guilty on Jan. 25, 2018, and has been fined $500. Palm thanked members of the public for reporting the act and providing information that led to the convictions. LAKE COUNTY, Fla. – A Lake County man is accused of shooting and killing a hunting dog and then stealing her collars, deputies said. The dog’s owner, Jason McGhee, told deputies with the Lake County Sheriff’s Office that he and his hunting party were in the Ocala National Forest near Deer Haven Community on Saturday and never crossed onto private property, deputies said. McGhee said they were tracking the dogs and got within 66 yards of Remi, but could not get to her, investigators said. He said he heard the dog barking, then heard several shots fired and the dog stopped barking, deputies said. McGhee told deputies he got permission from a property owner to find the dog using her GPS collars and later found Remi dead on the national forest property, but her three dog collars had been removed. The dog collars with GPS were valued at $975, and the dog, which was a walker hound dog, was valued at $1,500, McGhee said. McGhee tracked the missing dog collars to a home at 47202 South West Avenue belonging to Todd Allen Sweitzer, 49, of Paisley and notified deputies, investigators said. Deputies went to the home, and Sweitzer immediately told them he didn’t kill any dogs before deputies could question him and that he heard about the dead dog from a neighbor, deputies said. Deputies told Sweitzer that the dog’s GPS collars were pinpointed at his home, but he denied having the collars, and a search warrant was obtained, investigators said. He admitted the collars were in a box in the house and the gun was in an air-conditioning duct in the bathroom, deputies said. Sweitzer faces charges of animal cruelty and grand theft, investigators said. Channel 9’s Myrt Price is working on this story. Follow him on Twitter and Eyewtiness News at 4 p.m. where he’s getting comment from the dog’s owner. Tanzanian veterinarians have condemned government’s decision to burn 6,400 chicks that were illegally imported from Kenya. The chicks worth TSh12.5 million were impounded on Monday through the Namanga Border Post in Longido District, Arusha Region. They were set alight on Tuesday. Expressing his concern, Executive Director of Tanzania Animal Welfare Society Thomas Kahema said the government had alternative ways of curbing disease outbreak but ignored them. Northern Zone veterinarian Obedi Nyasebwa cited prevention against outbreak of bird flu and other diseases as the reason for burning the illegal import. Senior veterinarian Medard Tarimo said complaints about chicks smuggling had been rife. But according to Dr Kahema, the best option was to return the chicks to the owner, if the reason was to really protect the outbreak of diseases. “The decision has slightly dented our image and relation with our neighbours. Nobody expected if they would reach that decision,” he told The Citizen. The chicks were owned by Arusha-based businesswomen Mary Matia who is still in police custody. Tanzania banned poultry imports in 2007.